CHANNEL DELAYS: DFDS Dover-Calais cancellations throughout today and tomorrow due to technical problem. LDLines Poole-Santander/Gijon schedule changed due to weather. Tonight’s 22:30 Santander-Poole now to St Nazaire. Tuesday 12:00 Poole-Gijon now departs Wednesday 20:00. St Nazaire-Gijon 19:00 tomorrow moved to 10:00 Tuesday. Wednesday and Thursday cancelled. Adverse weather to pass through the Channel overnight Sunday and last until Tuesday afternoon says Condor Ferries. Services cancelled tonight and tomorrow, extra on Tuesday. WEATHER ALERT: Amber alerts: Ireland, UK, Pyrenees, Norway, Italy/Adriatic/Balkans, Austria, Netherlands, Belgium and Denmark. WEATHER: Windy, heavy snow. Gales, heavy showers Mediterranean. Very cold but dry Eastern Europe. MAJOR TRAFFIC DELAYS: A43 westbound Chambery>Lyon delay J10-9 ‘narrow lanes’ 1h30. A8 westbound Monaco>Nice road works 50min delay J58-55. ROADS: Local road closures Switzerland and Austria, snow. Wintry conditions northern Netherlands. Extensive snow disruption in Romania, see here, including restrictions Ruse-Giurgiu bridge. POLE OF COLD AND THE SUPREME FATHER CHRISTMAS. Expedition reaches its furthest – and coldest – point. Machina Harosho (Great car): they made it. 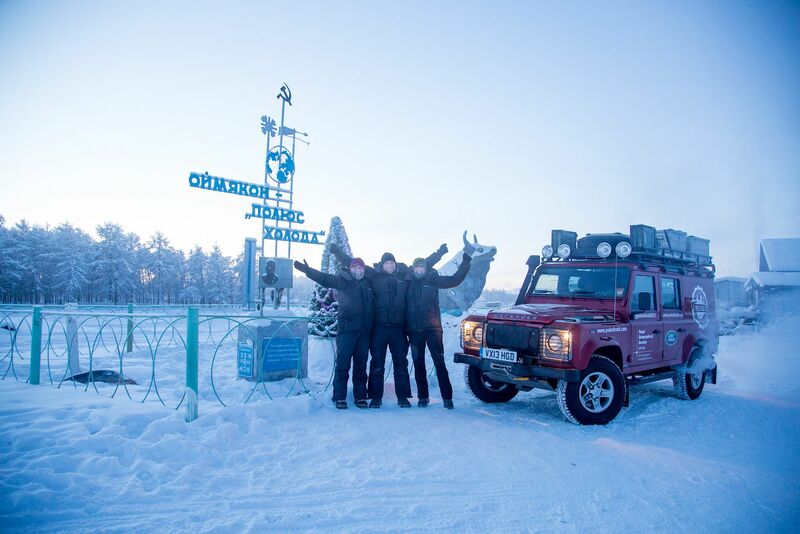 After 20,000km and nearly two months, the @PoleofCold2013 team – comprising of expedition leader Felicity Aston, photographer Manu Palomeque and engineer Gisli Jonsson – arrived in Oymyakon in eastern Russia, the world’s coldest inhabited place, on Wednesday. Oymyakon has seen record temperatures of -67.7 degrees. So far, Pole of Cold has experienced a relatively gentle low of -58 degrees. Waiting for them was Chyskhan, Lord Keeper of the Cold, the supreme head of the world’s 25 registered Christmas characters. 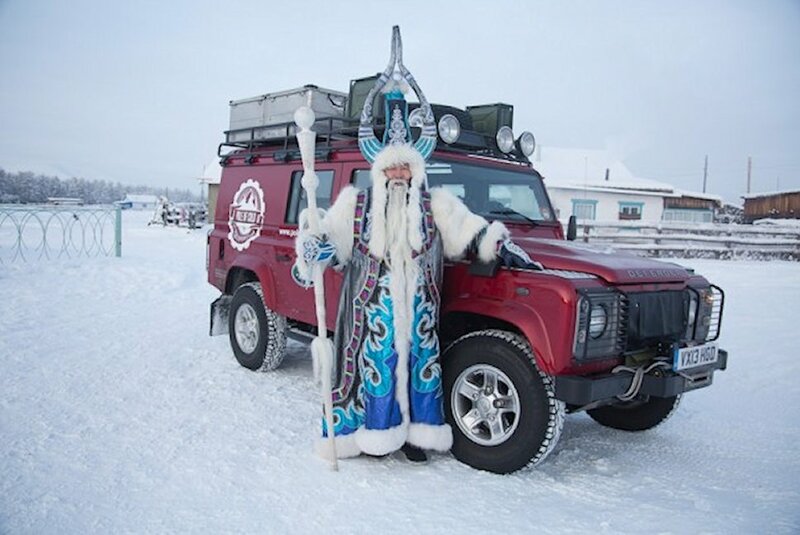 Santa and Father Frost among others come to Oymyakon each year to collect a token of winter which they return in the spring. By no means is the adventure over yet, and neither are the extreme low temperatures. 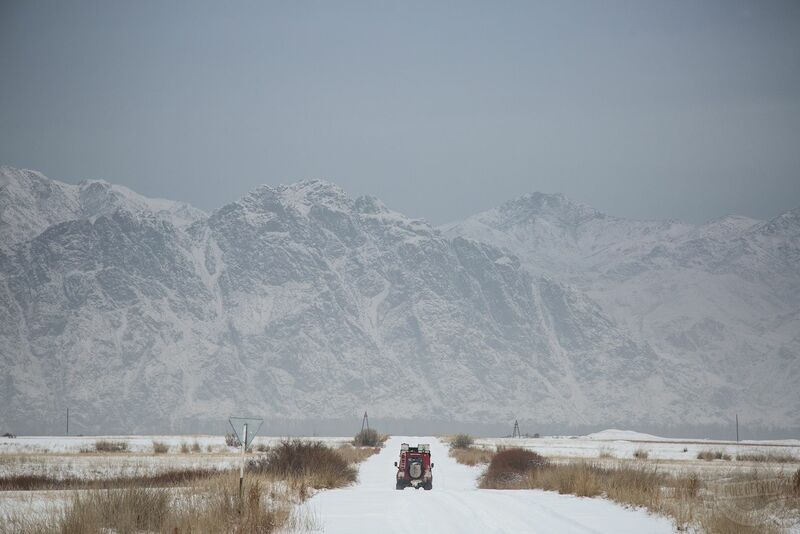 They have around 15,000km to cover on the way back via southern Siberia and Kazakhstan. A deep cyclone moving east from the Caspian Sea will see temperatures dip to -40 degrees next week in Kazakh capital Astana, with the conditions set to last until early February.